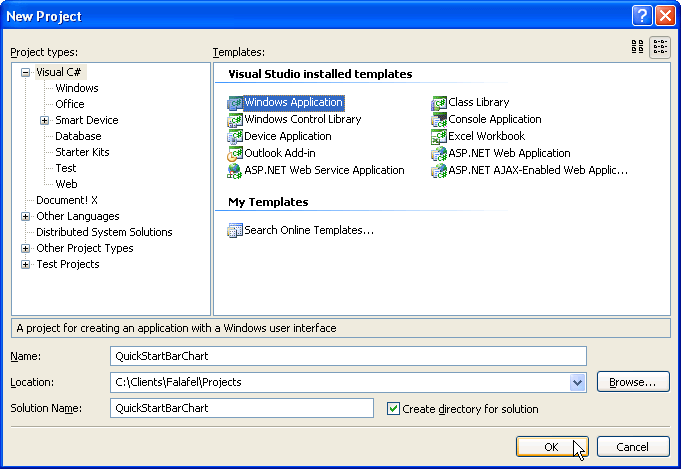 Select the "Windows Application" and enter a location path for the project. 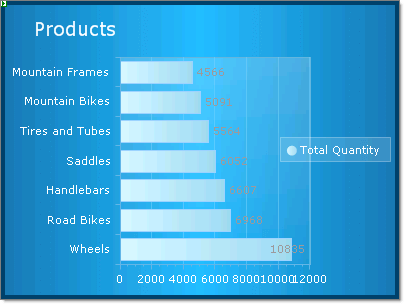 From the Toolbox drag a RadChart component to the form. 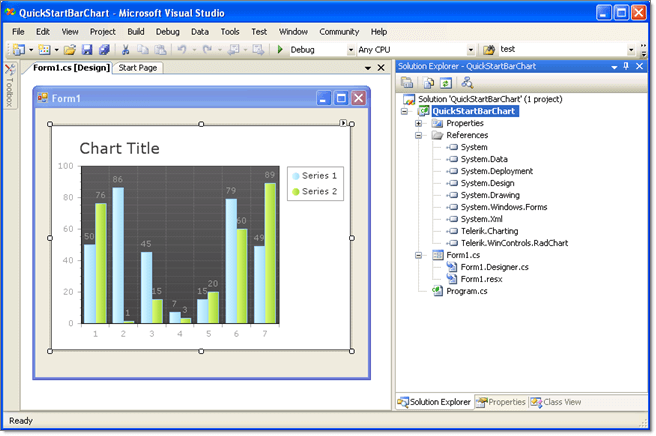 The project should now look like the figure below. 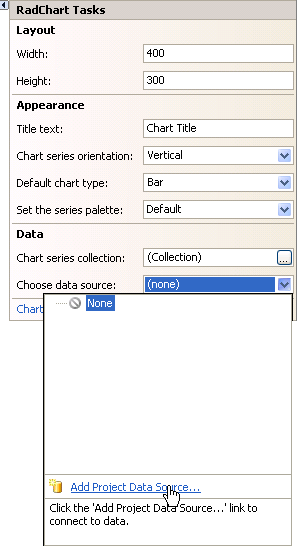 From the RadChart Smart Tag menu select the Data Choose Data Source drop down and click the Add Project Data Source item. 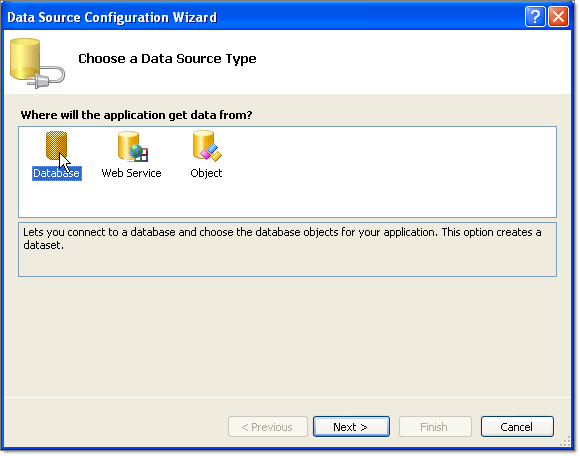 On the Choose a Data Source Type page of the Data Source Configuration Wizard select Database and click the Next button. 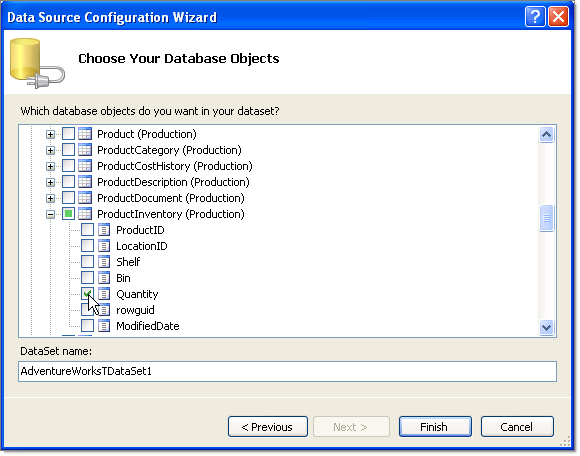 On the Choose Your Database Objects page of the wizard locate the ProductInventory table and select the Quantity field. 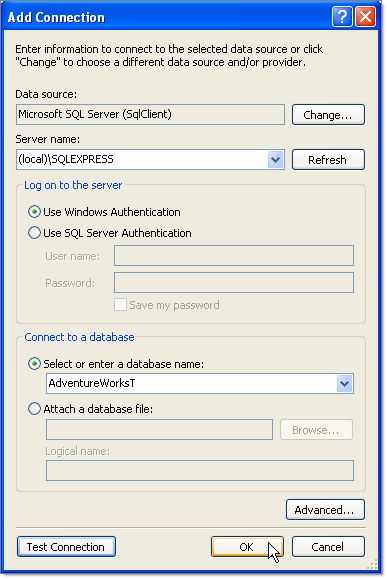 Click the Finish button. 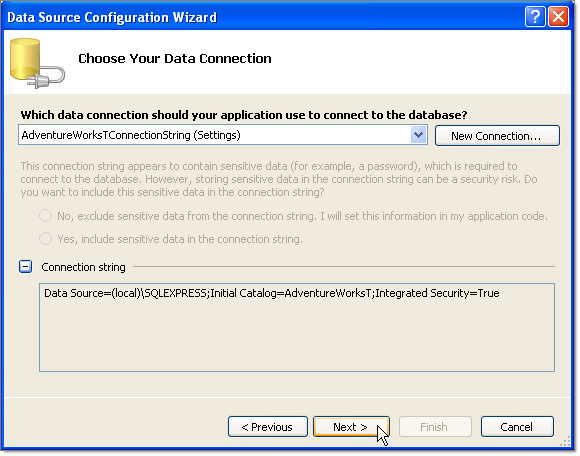 Note: In following steps this information will be overwritten and is just a place holder. 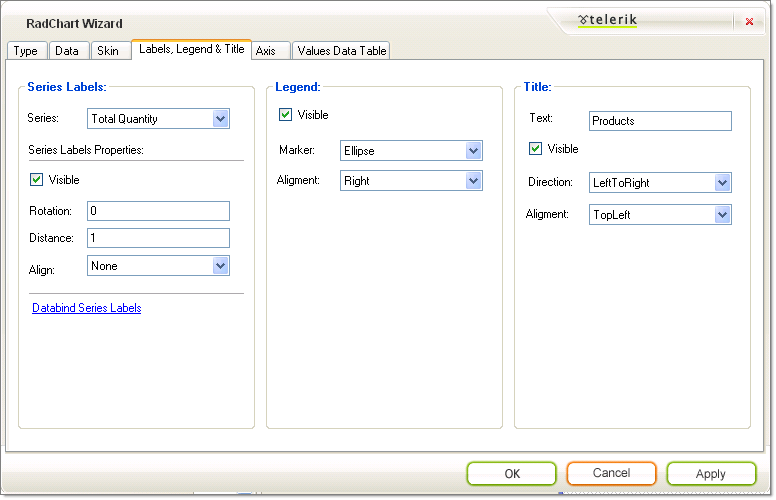 Three new components will appear in the component tray below the form designer: adventureWorksTDataSet, productInventoryBindingSource and productInventoryTableAdapter. 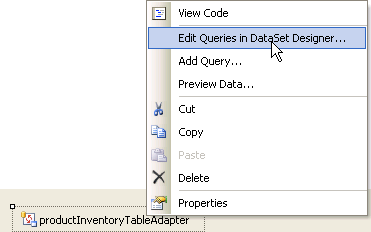 Right click the table adapter and select Edit Queries in DataSet Designer. 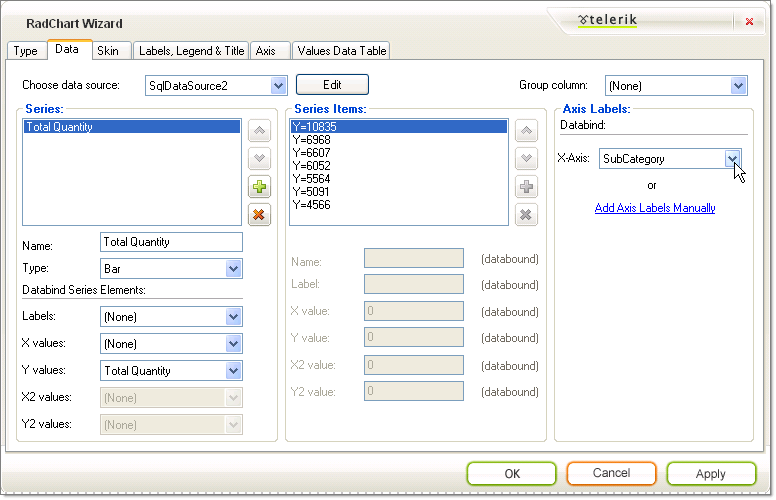 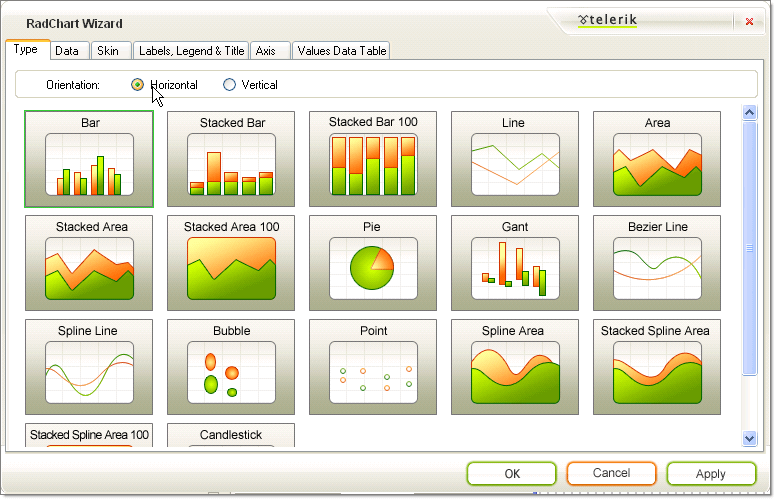 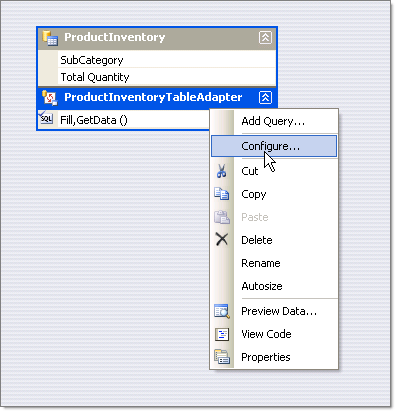 In the DataSet Designer right click the ProductInventoryTableAdapter and select Configure. 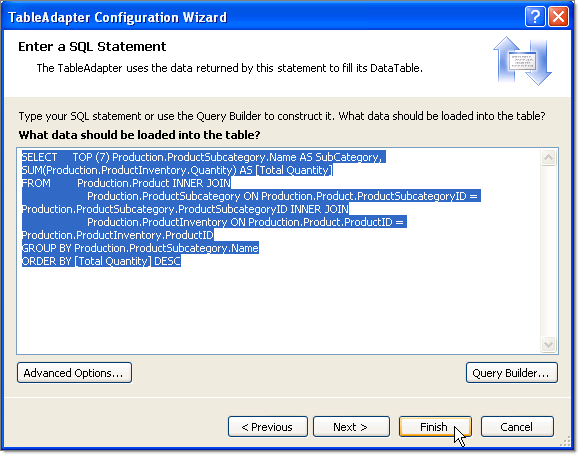 Enter the following SQL into the edit space provided in the Enter a SQL Statement page of the TableAdapter Configuration Wizard. 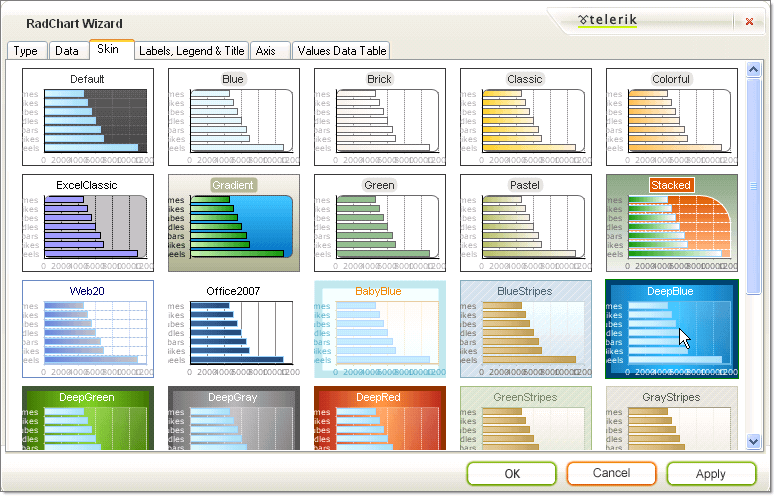 From the Smart Tag select the RadChart Wizard. 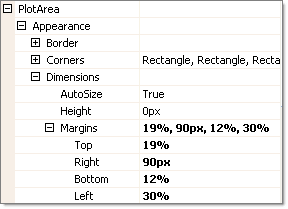 Select the Type tab and click the Horizontal Orientation radio button.